Young people don’t have the benefit of a good credit history, which means there are less options available for loans at a good rate. Read on to get the best rate possible for your situation. How good a loan you can get is based upon your credit score or credit history, which is basically a record of how successfully you have paid your debts in the past. However as a young person you will often start out with little to no credit history, and so loan providers are skeptical of you. Often young people will have their parents paying for things like mobile phone contracts, car insurance, car finance, etc. Instead of them paying it directly, set it up so the bills are in your name, and they simply direct debit you the amount every month. This will improve your credit score without you taking on any debt that you cannot handle. You may have heard of the “upgraded” current accounts that come at a small monthly fee (of around £10 per month) that offer bonuses like free travel insurance, breakdown cover etc. Well by simply paying these small charges off every month you are building a credit history, so as a young person signing up for these can be a useful strategy. 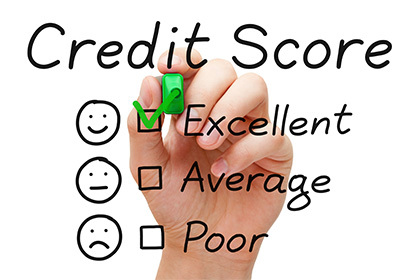 For our full guide on improving your credit score click here. Here are the best loans UK for young people if you just need the money for your personal bills or investments. When you’re young the best loans you can get are limited by your credit score. However by using a guarantor (someone who “backs you” on the loan application) you can get a much better interest rate because it uses the better credit history of the guarantor. To learn more about how you could get a guarantor loan if you have bad credit, see our guide here. Unfortunately traditional loans are not available to anyone under the age of 18, however you can work on building up your credit score (see advice above) so that when you turn 18 you’re in the best position to apply for a loan. If you’re a newly qualified driver and you’re looking for a loan for your first car then you might not find many good value options out there. However if you had a guarantor for your loan then you could have a much better chance of getting a low APR % and therefore a cheaper car loan. Visit our guide on car financing with a guarantor for more info. It’s smart to invest in yourself, and as a young person investing in further education can be the best route into a life of financial well being that you can make. Tuition fee loans – these are to pay for the fixed fee of the course. Maintenance loans – these are to pay for your living expenses such as rent and food. You may also be able to apply for a grant or be eligible for a bursary depending on your parent’s financial situation (income, etc). Post graduate programs and other courses that could help you climb up the corporate ladder aren’t very cheap, with many costing over £10,000 per year. Luckily the UK government is running a program called career development loans, which helps people improve their skills without having to pay the cash up front. You get an interest free loan until you finish the course, allowing you to focus on studying hard for a good grade instead of worrying about expensive repayments. You may have been inspired by watching Gary V or Richard Branson, and now want to start a business of your own with your fantastic new idea. However it’s very difficult to start a business with no money up front, and so getting a good business loan can be essential for your start. However obviously as a young person you haven’t proven yourself, and so it may be hard for a traditional bank to give you a loan because of the risk. But luckily there are some options for you. The Prince’s Trust offers people under the age of 30 a chance to get a great value business loan for their new idea. They offer money, mentoring and guidance to give a new business the best possible start. You can receive a loan of up to £7,500 through their enterprises programme. This service offers a much bigger loan of up to £25,000, and is backed up by the UK government. The repayment term for the loan is 1-5 years, and you receive mentoring alongside it. A peer to peer loan is a crowdsourced way of receiving a loan, because lots of people provide you with a small portion of the loan which together adds to your full amount. Similar to the mentality of Kickstarter, you can pitch your business idea and inspire the masses to fund it. As a young person your credit history is fresh but also vulnerable. A few bad payments could send you into a bad score that will take years to repair, and cripple you with debt in the process. Loans to avoid include anything with a high interest rate, such as payday loans, as these often become very difficult to manage, with debt increasing very quickly if you cannot make a payment. You might be thinking about an instalment loan, but even though these are better because of the predictable payments, they are still very high interest rates which should be avoided by young people. You should also avoid high interest credit cards if you don’t think you’ll be able to pay off the full amount each month, as you can get hit with very high interest rates on these cards. Don’t suffer in silence, as the longer it goes on the worse it will get. Have you really made a conscious effort to save the money you need the loan for? If you really tried to cut costs, limit outgoings and increase your income how much could you save per month? These are important questions to task yourself, as paying 0% interest by saving money first is a better way to become rich in the long term. Young people, just starting out on their own, will probably need to take out a loan, at some point. They may need to borrow money to purchase a car or a home. When they do, many will feel overwhelmed because although they may be knowledgeable about loans, they’ve never had the responsibility of choosing a loan. Other individuals won’t be familiar at all with loans. For these individuals, the stress of learning about loans, in addition to choosing one, can result in additional feelings of pressure. Fortunately, with a little research, it’s possible to learn all that one needs to know in order to make an intelligent decision. The best loans for young people will vary, based on the individual and what the loan is for. For instance, a person on a limited budget, interested in purchasing a home, may find that either an interest-only or traditional home loan is best but for different reasons. A traditional loan is good simply because a person knows exactly how much their mortgage will cost each month. There aren’t any surprises in this regard, which can be nice for a person is on a fixed income. An interest-only loan might be good for people that aren’t making a lot of money at the present time but who believe they will be earning significantly more in the next few years. By the time the terms of the loan changes and the borrower begins to pay both interest and principle, they would hopefully, have a higher paying job and thus be able to afford it.